A warm welcome from the security and Safety Corporation of Philippines, a multi awarded company for being the best Security Company in world which is founded by Late Dr Jose B Maniwang in year 1971 around four decades before with an idea to bring the safety to corporate houses and industries in multiple ways by giving the innovative technology and best concepts to resolve all kind of corporate and business issues through superior investigation. SSCP is the proud owner of Philippines private investigation agency which is excelling in big ways by inducting the experienced and excellent private investigators in Philippines who have excellent records and great proficiencies in the field of investigations and intelligence services and brought many laurels and honours by giving the highly distinguished services to patrons from various sectors and got the great recognitions and identity through their eminent works with dedication and confidentiality. It is the great impact of their experience and expertise that today, Philippines private investigators are accepted as the pivotal point for professional private investigations and total risk management with adequate protections by giving well designed processes to every client with in the country or abroad. At present, this is only the agency in Philippines which covers large section of people and all kind of clients mainly all law firms, corporations, exporters, Insurance companies, financial institutions, In-house counsels, fraud examiners, International process servers, International private investigators located in the terrains of Philippines and offer the great assurance for the guaranteed solution of every personal or business problem with perfect understanding and great analysis. Private investigators in Philippines have show their worth by emerging out as the big source of top class private investigation services in Philippines with guaranteed results in all conditions. SSCP has always believed in giving the best by meeting the requirements in your ways and have higher professionalism at all the time. This is because of dedicated team of experts mainly belongs to high profile security and intelligence services. Majority of private investigator are military officers, police personnel’s and young dynamic well built and sturdy lots with intelligence skills and great awareness to study and understand the gravity of situations and work according to requirements to meet the target for completing the mission in time with great success. The SSCP is holding the valid license under Philippines Republic Act No 5487 and authorized to operate in any region of country to render its great investigative services to locals and oversea clients. 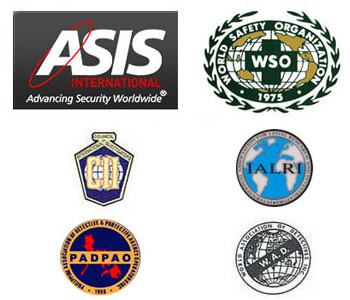 The great cohesion with private investigators in Manila and other local as well as international partners enable us to surpass background investigation services of Filipinos to entire oversea contract workers in Middle East, USA and Europe which includes other major services of Insurance claims investigations to foreign Insurance companies, Background checks in Philippines to all oversea Firms, due diligence checks in Philippines for corporate, assets & property verifications and skip tracing services in Philippines. Today, Philippines private investigators have achieved a level whereby they can manipulate total private investigation services in Philippines including Philippines, Manila and whole Philippine archipelago including major islands of Luzon, Visayas, and Mindanao according to client needs. Our private investigations in Philippines are maintained at real ground where it covers entire investigation with authentic reports included with ample of evidences and witnesses to affirm the case. We go in a way to offer the discreet investigations with great confidentiality and professionalism. To know more about us or to obtain our 24x7 services in any issue, generously log on info@philippinesprivateinvestigators.com with respective needs.